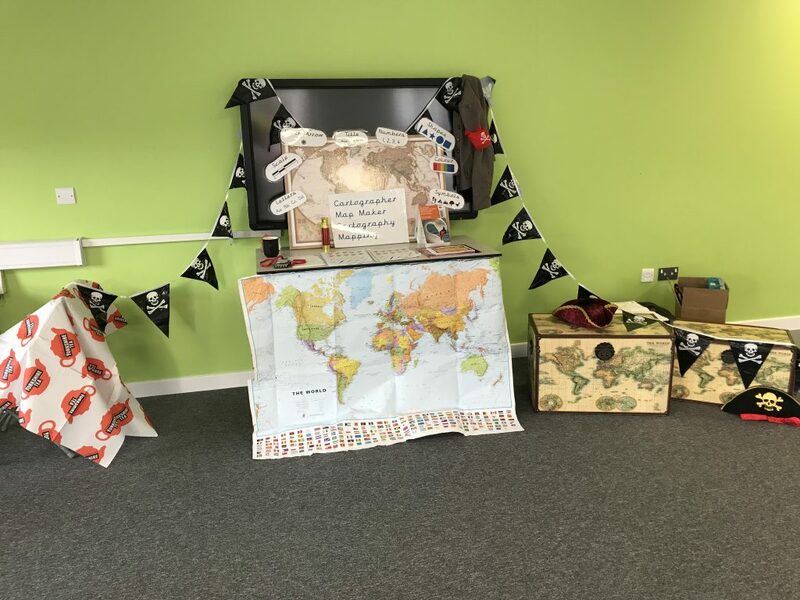 During November, Year 1 pupils at Linden Primary Academy in Luton welcomed Alice Gadney of Mini Map Makers to run a workshop complimenting their current theme of Bon Voyage. The school had been granted Culture Vouchers to spend on an activity of their choice as a result of embarking on their ArtsMark journey. Teacher, Lynda Fagan chose to work with Alice as her mapping skills workshop linked nicely in with the learning objectives of the class. 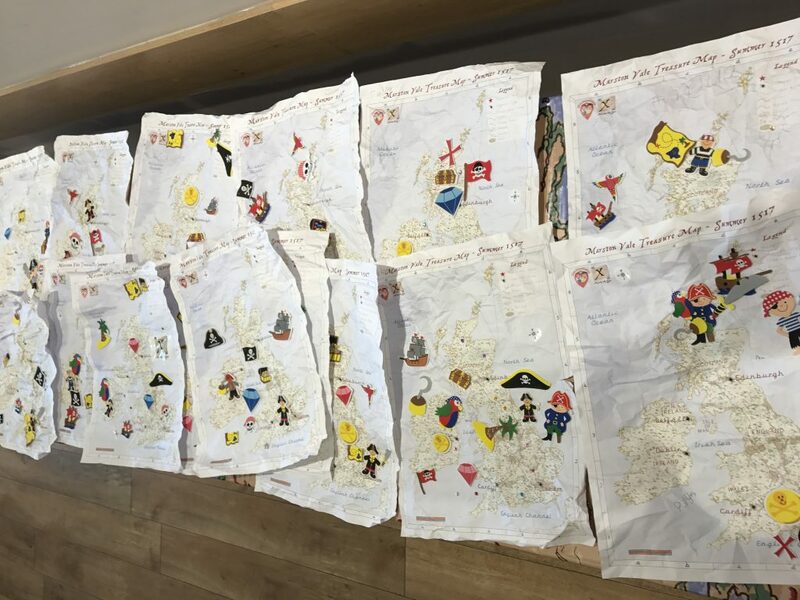 “The children enjoyed the session and were particularly excited about their treasure maps!” explains Lynda. She hopes to continue and develop the activity for the future cultural engagement of her pupils, which is great to see the skills learned during this workshop extending beyond a one-off project. Working with almost 70 Year 1 pupils, Alice ran her popular ‘X’ Marks the Spot Workshop, which begins with a thought-provoking discussion considering how the world is round but maps are flat – a simple but interesting concept for Year 1 to think about. 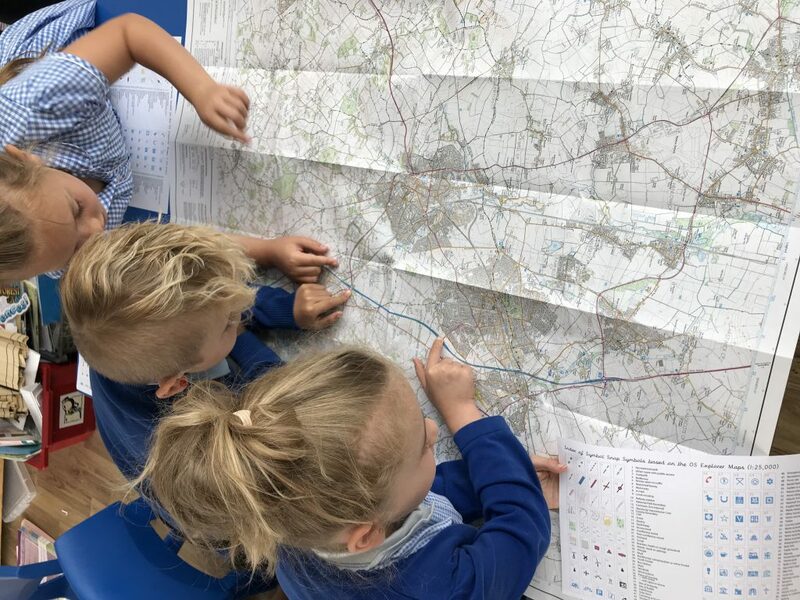 Alice brought both old and new maps for the children to investigate which prompted thoughts around how people travel, both today and 500 years ago. 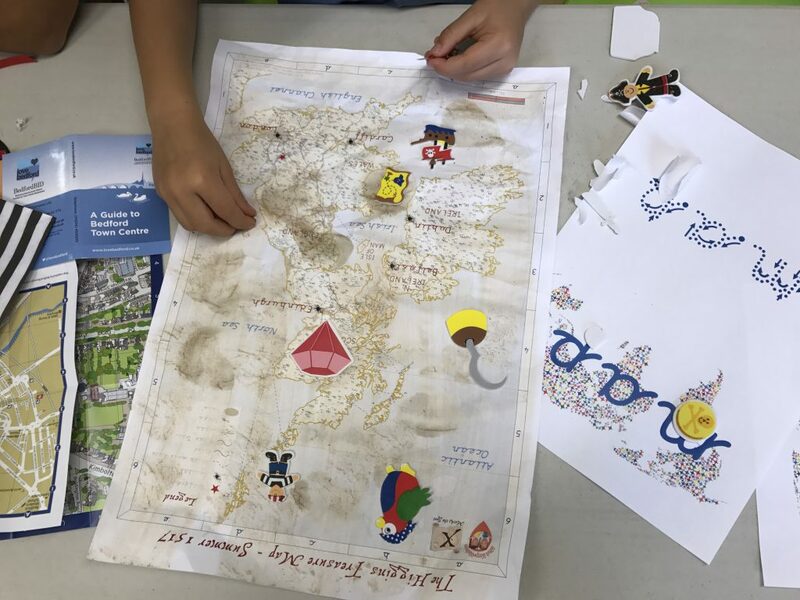 One of the advantages of Alice’s cartographic workshops is that they are cross-curricular and can be offered to compliment any topic or subject. In a world of digital maps and apps, the days of the traditional paper map may be numbered, but actually, this mode of conveying information is an excellent teaching resource, inspiring thought around orientation, communication and considering the effects of including some features and excluding others – a concept which could be used to explore wide ranging social issues, both historical and current. We are delighted that Linden Primary Academy had the opportunity to work with Alice, and experience one of her unique Mini Map Makers sessions. We wish them luck on their ArtsMark journey! Do check out the Mini Map Makers Culture Challenge profile and website for more information on Alice’s original school sessions.